Monika came to Individualise for help in setting up her blog. As a writer she had great ideas about content but was unsure about the technology options available. She knew what she liked and didn’t like about other blogs and had definite ideas about how she wanted her blog to look and work. As soon as the website went live, Monika felt confident using WordPress and was able to start updating on a regular basis: creating content, importing images and scheduling posts. I’m so happy with how my yoga blog looks, Nic worked really hard to get all the details right. We enjoyed working together so much that we decided further collaboration was the way forward! We looked at other blogs with similar content and decided how to incorporate the designs Monika liked. A logo was created and we came up with a bespoke template theme using her colour preferences. We set up the technology so she could concentrate on writing content. 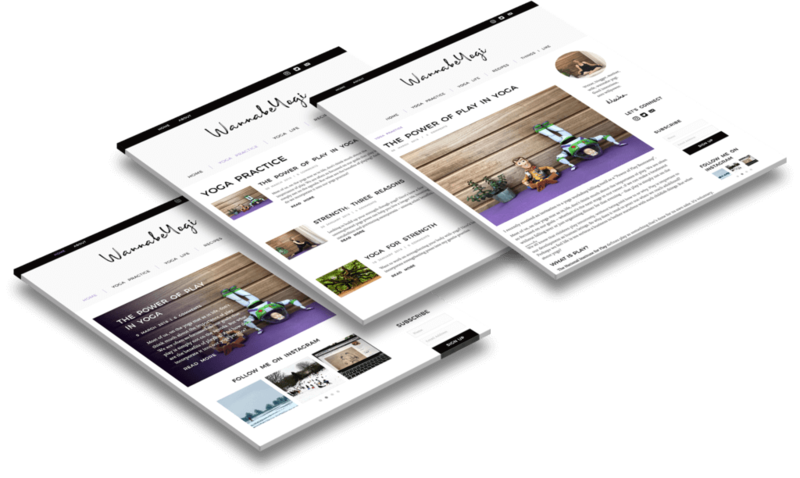 A consistent design means WannabeYogi has the potential to grow across all platforms without needing any additional design work. Being able to update the site so easily and not having to worry about the technical side of things meant Monika could concentrate on promoting her blog. WannabeYogi was listed in the top 30 UK yoga blogs within a few months of going live.